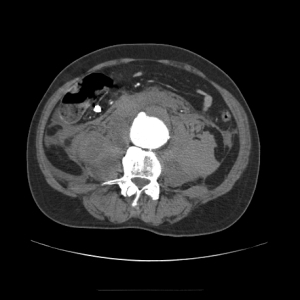 This is a contrast enhanced CT image of the abdomen with the contrast in the arterial phase highlighting the aorta. 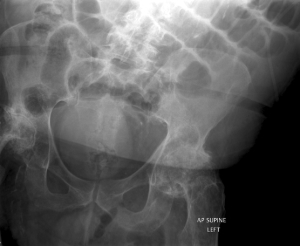 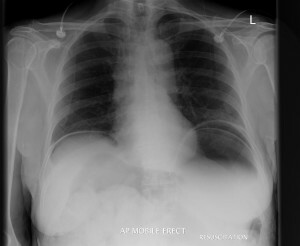 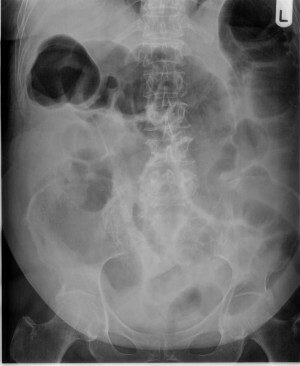 We can see what appears to be two seperate lumens on this image and this is because this is an aortic dissection. 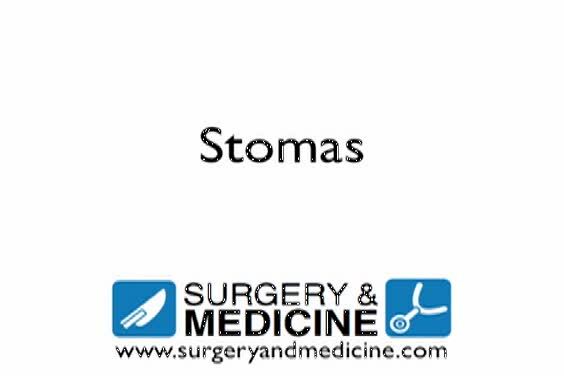 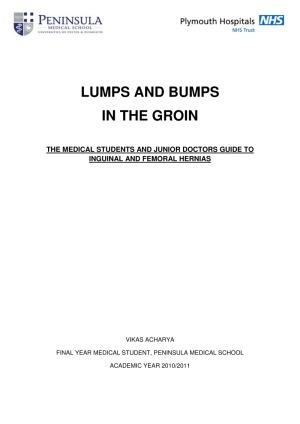 A PDF Booklet that covers the underlying anatomy, embryology and basic overviews related to groin swellings, particularly inguinal and femoral hernias. 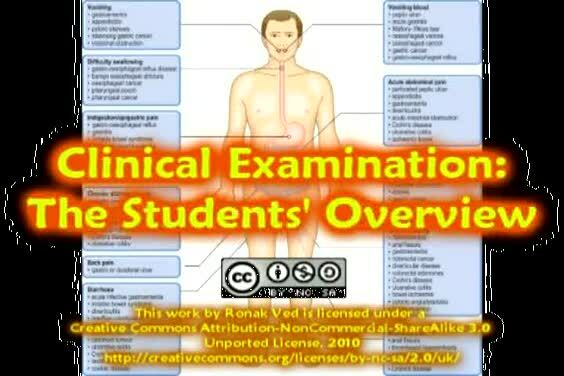 I made this lecture during my elective this year as I was teaching at the Graduate Entry medical school. 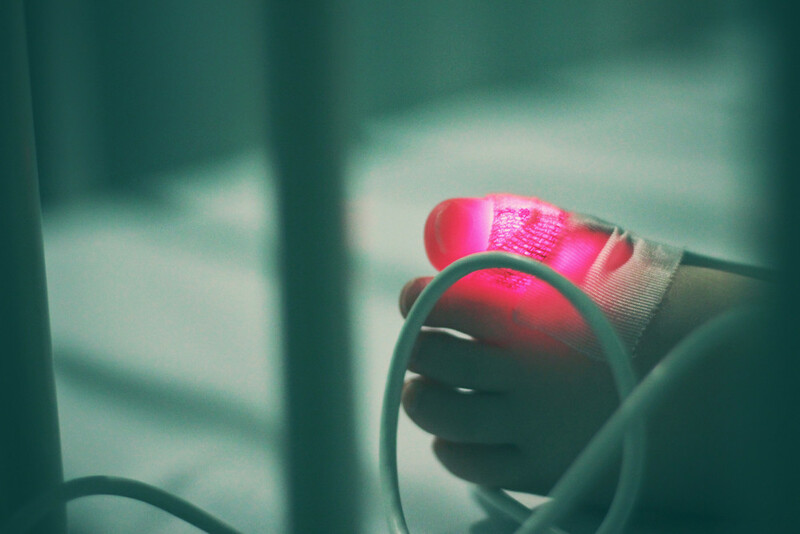 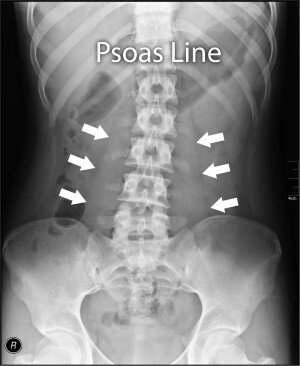 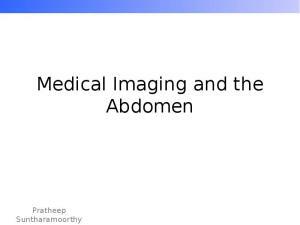 As i haad gone through the same process I knew that we didn't have much teaching in terms of a general introduction to radiology, especially abdominal radiology. 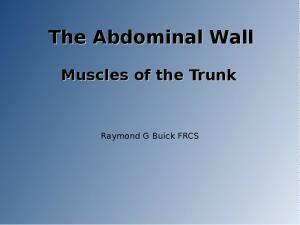 Therefore with the help of my supervisor I delivered this lecture to a group of 50 students and recieved some very good feedback. 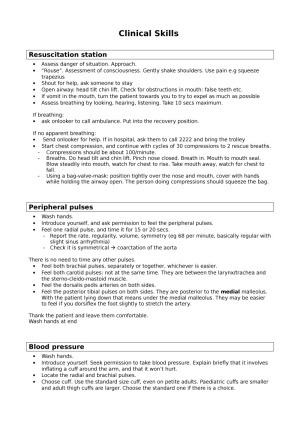 The lecture also had a handout that students could fill in as we went along. 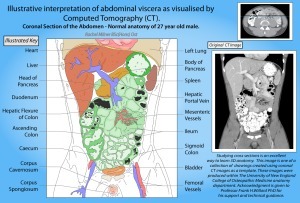 CT Abdominal Viscera - Illustrative interpretation of abdominal viscera as visualised by Computed Tomography (CT). 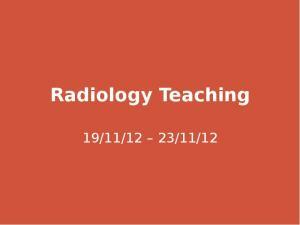 This poster shows one of a series of drawings which were created using Adobe Illustrator CS4 and Adobe Photoshop CS4. 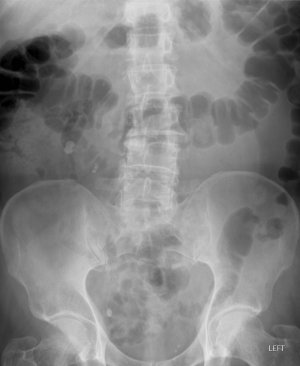 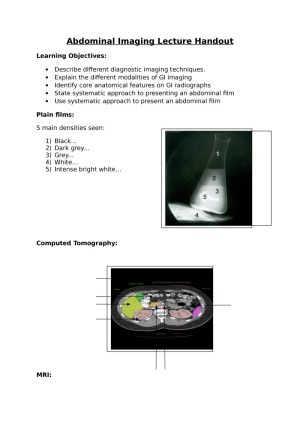 A series of Coronal and Axial CT sections from a 27 year old male, who consented to their use for education (including specific consent for the purposes of this competition), was used as a template for the drawings which are then displayed alongside the original grey-scale image. 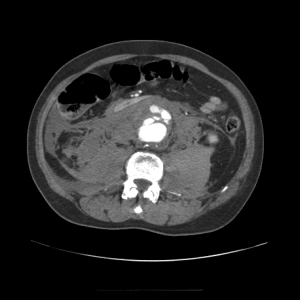 The aim of the drawings is to help with interpretation of CT imaging by placing them alongside a coloured illustration of the original. 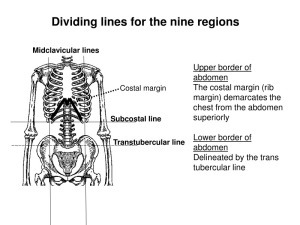 Sectional images are a very valuable tool for learning the 3D relationships of anatomy. 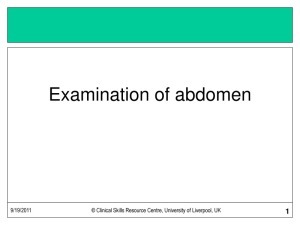 Jonny Gamble explains how to perform an examination of the abdomen.